In reconstructing the birth and development of the notion of ‘unconscious’, historians of ideas have heavily relied on the Freudian concept of Unbewussten, retroactively projecting the psychoanalytic unconscious over a constellation of diverse cultural experiences taking place in the eighteenth and nineteenth centuries between France and Germany. 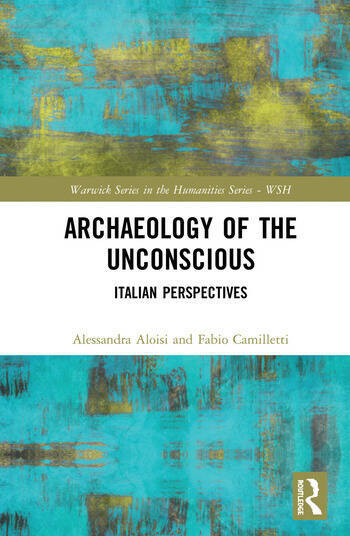 Archaeology of the Unconscious aims to challenge this perspective by adopting an unusual and thought-provoking viewpoint as the one offered by the Italian case from the 1770s to the immediate aftermath of WWI, when Italo Svevo’s La coscienza di Zeno provides Italy with the first example of a ‘psychoanalytic novel’. Italy’s vibrant culture of the long nineteenth century, characterised by the sedimentation, circulation, intersection, and synergy of different cultural, philosophical, and literary traditions, proves itself to be a privileged object of inquiry for an archaeological study of the unconscious; a study whose object is not the alleged ‘origin’ of a pre-made theoretical construct, but rather the stratifications by which that specific construct was assembled. In line with Michel Foucault’s Archéologie du savoir (1969), this volume will analyze the formation and the circulation, across different authors and texts, of a network of ideas and discourses on interconnected themes, including dreams, memory, recollection, desire, imagination, fantasy, madness, creativity, inspiration, magnetism, and somnambulism. Alongside questioning pre-given narratives of the ‘history of the unconscious’, this book will employ the Italian ‘difference’ as a powerful perspective from whence to address the undeveloped potentialities of the pre-Freudian unconscious, beyond uniquely psychoanalytical viewpoints. Alessandra Aloisi is ‘Marie Curie’ post-doctoral fellow at the University of Warwick (2015-2017), with a research project on Distraction as a Philosophical Concept and Stylistic Device in France and Italy, from the seventeenth through the nineteenth centuries. She obtained her PhD in Aesthetics at the University of Pisa in 2011 and her thesis was published as Desiderio e assuefazione. Studio sul pensiero di Leopardi (Ets, 2014). She is currently working on a monograph on the concept of distraction (forthcoming as Distrazione, Il Mulino, 2019). Fabio Camilletti is Associate Professor at the University of Warwick, UK. His specialism is Gothic and Romantic literature from a European viewpoint: he published, among others, monographs on D.G. Rossetti and Giacomo Leopardi, and finalized in 2015 the first complete edition of the German-French anthology of ghost stories Fantasmagoriana. His forthcoming works include Italia lunare (Peter Lang), The Portrait of Beatrice (Notre Dame UP), and Guida al gotico (Odoya). He is currently working on a BA/Leverhulme-funded project on supernatural anthologies in the early nineteenth century.